Great table for the price. Easy to assemble, and they look great in our guest room. Drawers are easy to use. Love the small footprint and taller height. This is a sturdy, little night stand. It has enough space for a small lamp and a kleenex box, and the drawer functions well for holding typical things one might keep next to one's bed (hand gun, lotion, eye mask, etc.). My main complaint is that the paint has chipped off one corner, and I have zero recollection of anything ever bumping into it. Under the paint is exposed particle board, not solid wood. So, this is definitely a lower end item. I purchased two nightstands in the brown wood finish. I was surprised to find a solid wood nightstand in this style in this price range. After receiving and inspecting the pieces the price began to make more sense. The nightstands were well packaged. They came in individual boxes, packaged inside of an outer box with foam spacers to ensure that the product was not damaged during shipping. Assembly was straight forward and intuitive. No tool were required. The upper section and drawer came preassembled. Simple instructions were included. The upper part of the legs screw into the base of the drawer, and then the lower part of the legs have longer screws which thread through the shelf and into the upper part of the legs. The only problem with assembly was that not all of the screws were installed at the center of the leg. This led to some misalignment of the legs, which could be remedied by unscrewing the leg and rotating it slightly so that its final position is correct. Not adjusting the leg placement can lead to problems when attaching the shelf, since the uncentered leg can out stress on the joints of the drawer casing, which are not strong to begin with. One of the joints on one of the stands I received has come loose either in shipping or in the manufacturing process, and it was pulled farther apart by a misaligned leg. I was able to bring it closer together by adjusting the leg, but the original problem still exists (see picture). The nightstands are the exact design that is pictured. They measure true to size and are perfect for a bedside lamp, and small tissue box, with room to charge your phone, place a book, or anything else you would typically use a nightstand for. The construction materials appear to be solid wood, with two exceptions. First, the side and back panels on the upper section appear to be a decent quality, but very thin plywood. Second, the shelf toward the base of the night stand appears to be a dense plywood or MDF. It should be noted that the wood used for this nightstand is low quality, most likely an inexpensive pine. The wood used for the legs has several defects including knots, which affect the detail work (see picture). The wood had already split on one of the corner pieces on the upper section, and one of the corner pieces of the shelf when I received the nightstands. The drawer pull is a light weight metal with an antique finish. The stain used on these pieces is a nice dark brown. Unfortunately the pieces were finished very poorly. I suspect that the wood was not well sanded prior to finishing, because there are rough, uneven surfaces, especially in more intricate areas. The stain and lacker were not applied evenly, leading to some unattractive thick patches (see picture). 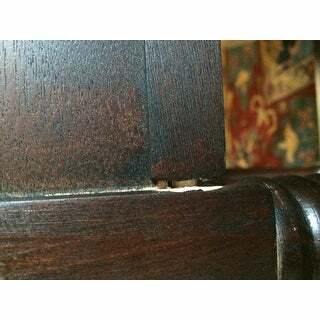 Also, not all surfaces were completely covered with stain, such as the tops of the corner pieces of the shelf, which are visible around the legs. These issues have nothing to due with whether this piece is distressed or "antiqued". This is bad finishing, and when I get the chance I will probably sand these down and restain them myself. Overall I was dissappointed in this product. The design is attractive, and assembly is easy and intuitive. Unfortunately the poor construction materials and finishing techniques leave a lot to be desired. If you are looking for a product in this price range, I would advise looking for a solidly built product that uses engineered woods, rather than a poor quality solid wood piece. If you are really interested in solid wood, I would recommend thrift shopping or spending more to get a higher quality piece. For the quality of materials and poor finishing, I believe this piece is overpriced. This night stand is just as described. The wood looks and feels very sturdy, and it's easy to put together. The decorative touches make it a bit more elegant than your average night stand. The only criticism it gets from me is about the finish of the paint - it looks just a bit more distressed, in my opinion, than can be described as "antique". This table is nice, looks antique. I was afraid I may not be able to assemble it but it was so easy and required no tools at all! These tables are not as pictured. There is no antiquing to them at all. Just an off white paint without the distressed edges. 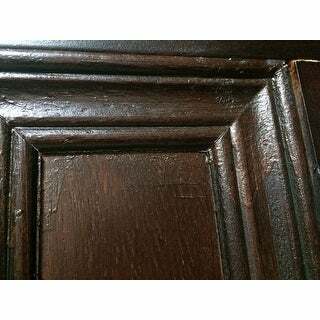 The paint application is a bit thin and the wood itself has a few imperfections such as divots/gouges under the paint. For the money they are still a decent buy and are a nice height for those with a thicker mattress. A good bargain and very solid. I ordered 2 in the antiqued white. However after I had cut up the box ...I realized they sent one in the color I ordered and the other in a wood finish. So be sure to look before you destroy the box. I am stuck with a mismatched set. 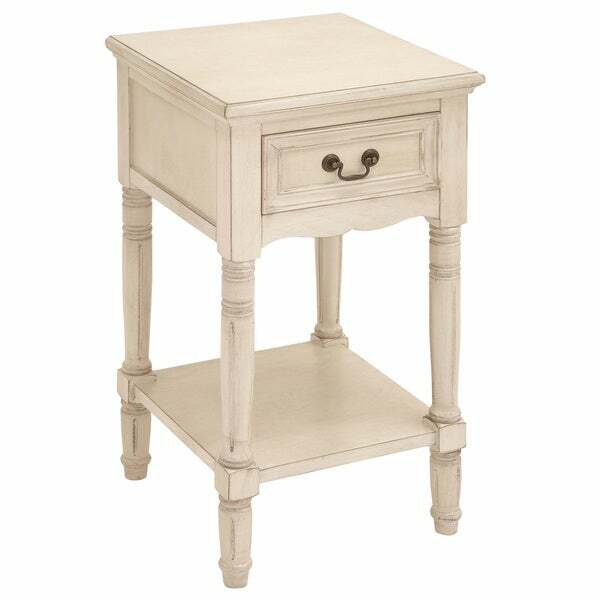 Just received two of the grey nightstands for our guest room and they are truly beautiful and well built, however the two I ordered are no where close in color to the grey color that is pictured, they are much lighter and a much paler grey color. They are also very rustic/distressed looking - I'm totally okay with this, but thought it was worth mentioning here for anyone considering purchasing these. Wish I could post a picture to show the difference in color, Overstock this is something you should consider letting your reviewers do. This is a perfect nightstand. It goes with my bedroom perfectly!! I love the antique white with the distressed paint. It's classic and modern at the same time. It's a great size especially for NYC apartments (which are small). A SNAP to assemble. I'm a woman who hates assembling things and this took me literally 8 minutes. No tools required. You just screw on the legs and wallah! Done. Great value for the money. The overall size, appearance, and function are exactly what I was looking for. I bought them for a guest bedroom and they fit the bill perfectly. As long as you're not expecting heirloom quality hand crafted furniture for this kind of money you'll be fine with these. Assembly was a breeze. Quality construction with solid wood. These look nice and will last. They are very easy to put together by screwing the legs into the lower shelf then into the table base. I purchased the woodgrain one. Very nice night stand. Super easy to put together and looks expensive. Very pleased with purchase. Looks like the pictures, super easy to assemble. Good size as a night stand for a bed with a higher profile box spring. I would buy again and recommend to others. This nightstand was the perfect size for our limited-space guest room! At the same time it is very pretty and while I wouldn't put it in my boys' rooms, it is definitely sturdy enough for guests. Great price! Nice, but the color is a VERY rich cream. I was looking for a cooler tone, so I ended up painting it. For the price, I feel like it was worth it for sure. It’s a very small, so probably best suited for a child’s room. Love them! I ordered 2 and they are exactly what I wanted and appear as pictured. Solid wood, easy to put together. The first two we got were damaged. Overstock was very good to replace them. The second two were fine. They are pretty and perfect for the space. Needed a second coat of paint. This night stand is the perfect height to keep beside my bed. I love the color. It is a distressed off-white and it is gorgeous. It has a rustic look that goes great in any room. "what's the difference between the white finish and the antique finish for the white color?" "What is the height between bottom shelf and drawer?" "What color stain does it come in?" I think the photo is a good representation...If I am really picky, it is, perhaps, a bit lighter and less beige than the photo. - but I would definitely call it antique white. I am totally happy with the color, sturdiness, everything. Good purchase! "Is the white more of a cream or is it a stark white in person?" It is an antique white. Definitely more of soft cream.....definitely not a stark white. "Is the woodgrain a cherry color?" Yes, there is a cherry tone top the woodgrain. "Can you please tell me if "woodgrain" is a stained (i.e., actual grain of wood shows through) or painted (i.e., opaque) finish?" The woodgrain color option is a stained wood with the actual grain showing through slightly. 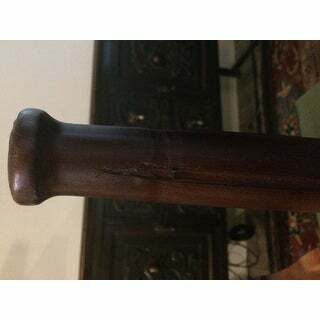 "According to a reviewer here whose piece was chipped this item is made of particle board and not solid hard wood as stated in the "details" section. Would you please verify whether there is any "manufactured wood" or plywood in this piece? thanks"
Hello April, this is solid hardwood. Thanks for shopping with us!